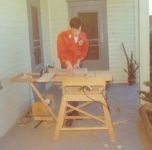 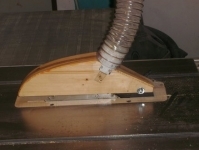 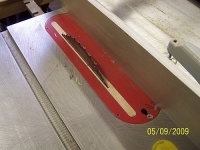 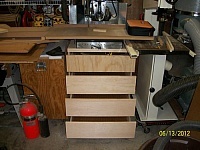 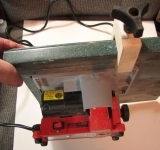 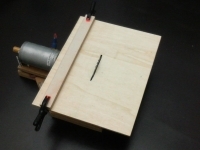 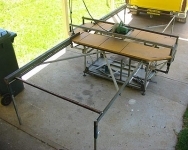 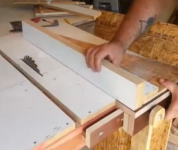 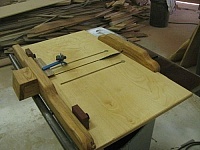 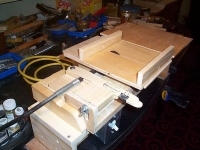 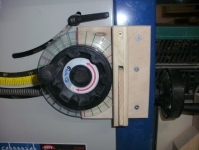 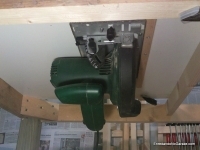 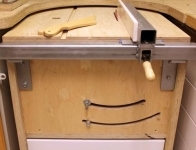 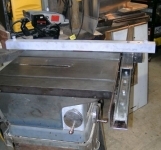 Homemade table saw sled intended to aid in cutting large pieces squarely. 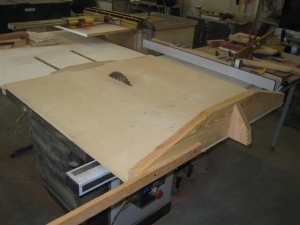 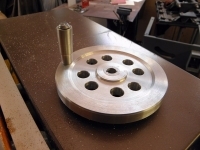 These leading edge, splitter, and stop block ideas are very clever. 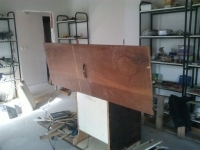 I expect the builder is absolutely correct...for large pieces this is ideal.